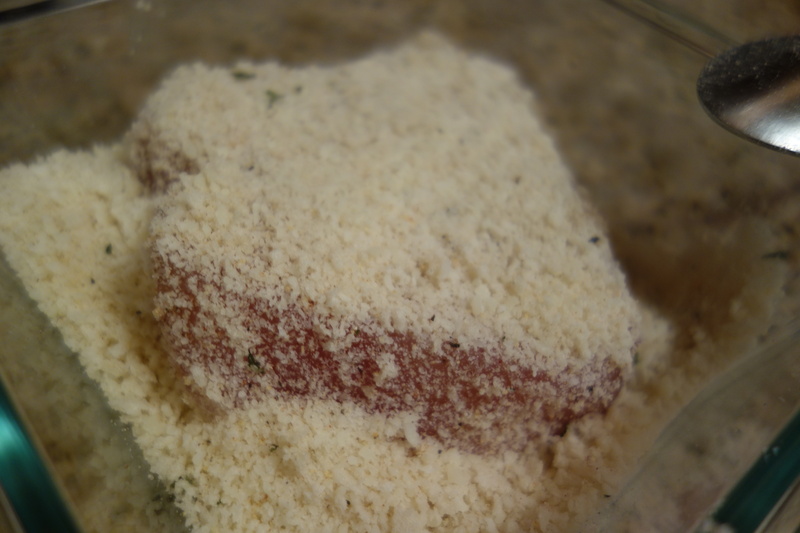 Mix the bread crumbs with the parmesan in a bowl. 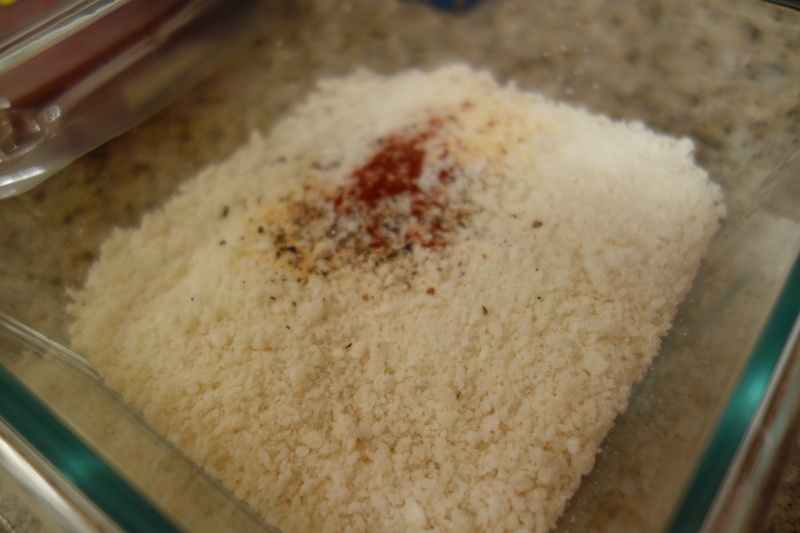 I suggest using panko breadcrumbs, which are a little larger and crunchier than plain breadcrumbs. Add the seasonings to the breadcrumb and parmesan mixture. Heat a skillet with olive oil before doing the next step since it only takes a minute. Pat the tuna lightly with a paper towel to absorb some of the moisture. 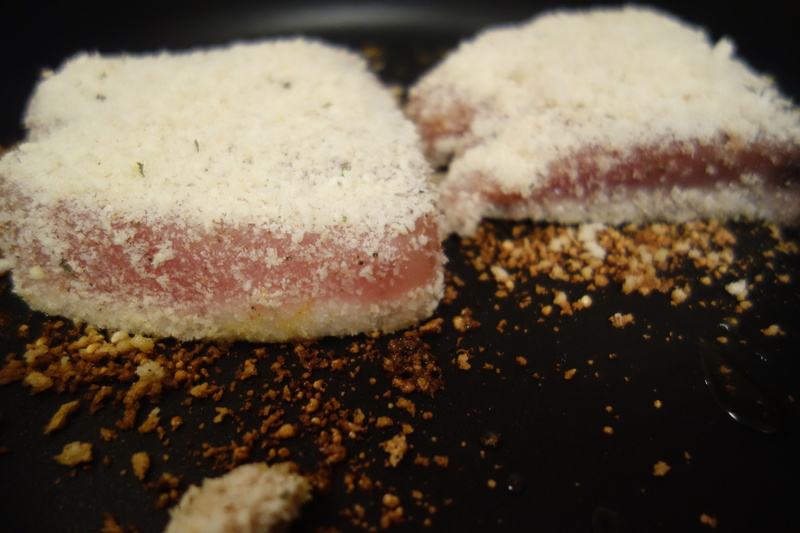 Coat both sides of the tuna in the parmesan-breadcrumb mixture. That’s right! You don’t have to dip it in egg first or anything. Told you this is easy. Place the tuna steaks in the hot skillet. Cook for two minutes on each side. Don’t overcook the tuna, it doesn’t take long to cook. You’ll see the fish turning opaque as it cooks. When you turn the tuna, you should have a beautiful and crisp golden brown crust. Remove from the skillet and the tuna is ready to serve. It is great with a little dijon mustard or on its own. Have a great weekend! I’ll be working this weekend, so do something fun for me. 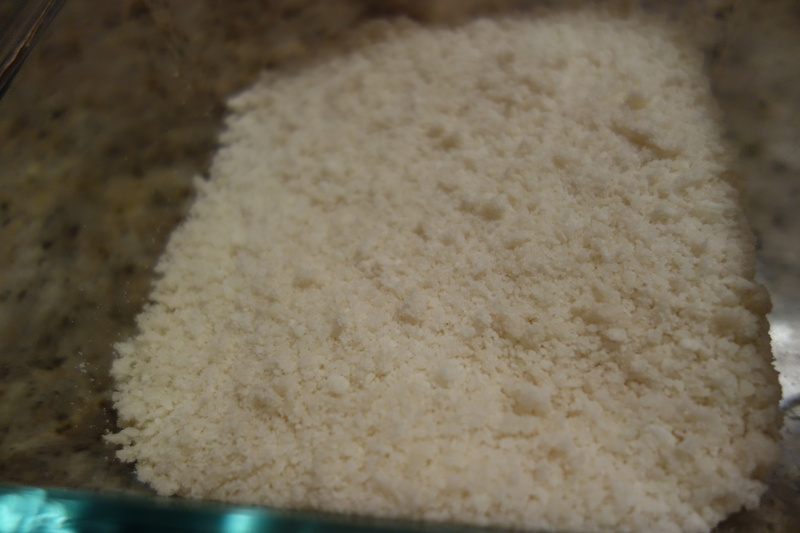 Mix parmesan and breadcrumbs in a bowl. Add seasonings to bowl and mix well. Pat tuna steaks lightly with a paper towel. 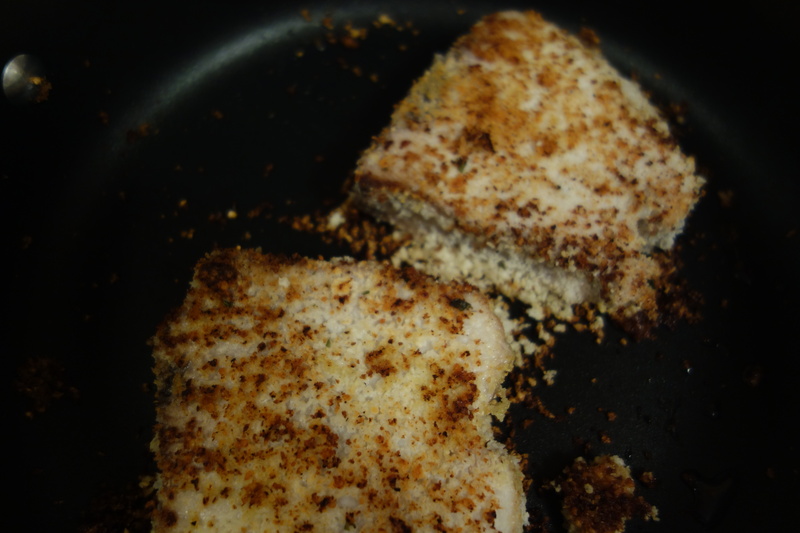 Dip tuna steaks in breadcrumb mixture to coat both sides. 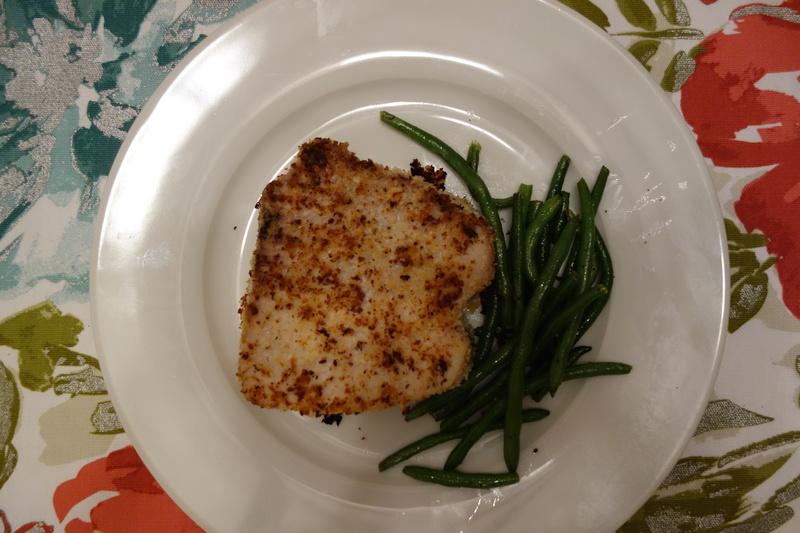 When skillet is hot, cook tuna steaks in skillet and cook for 2 minutes on each side. Be careful not to overcook. Fish will become opaque as it cooks.